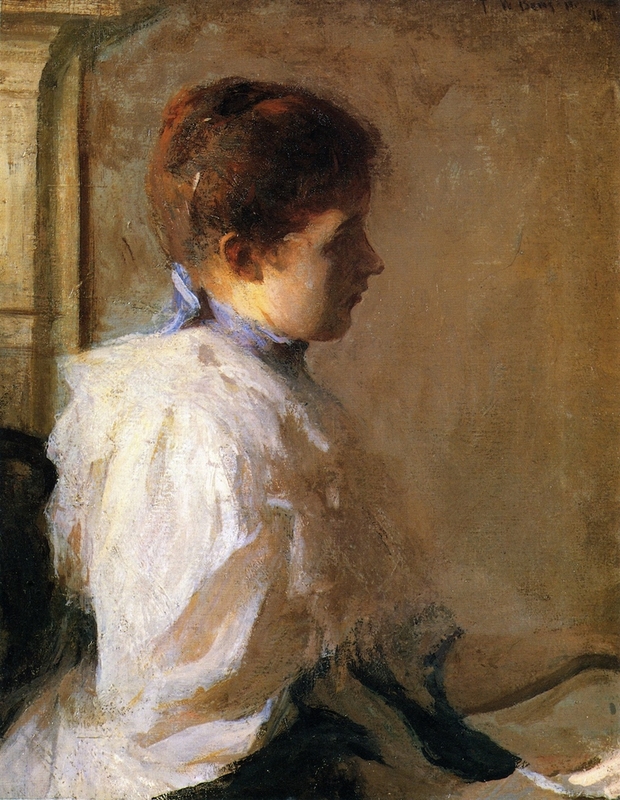 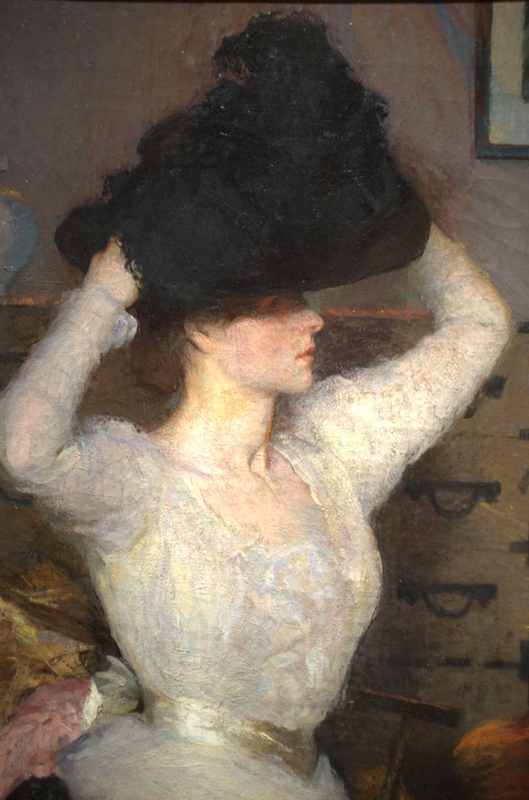 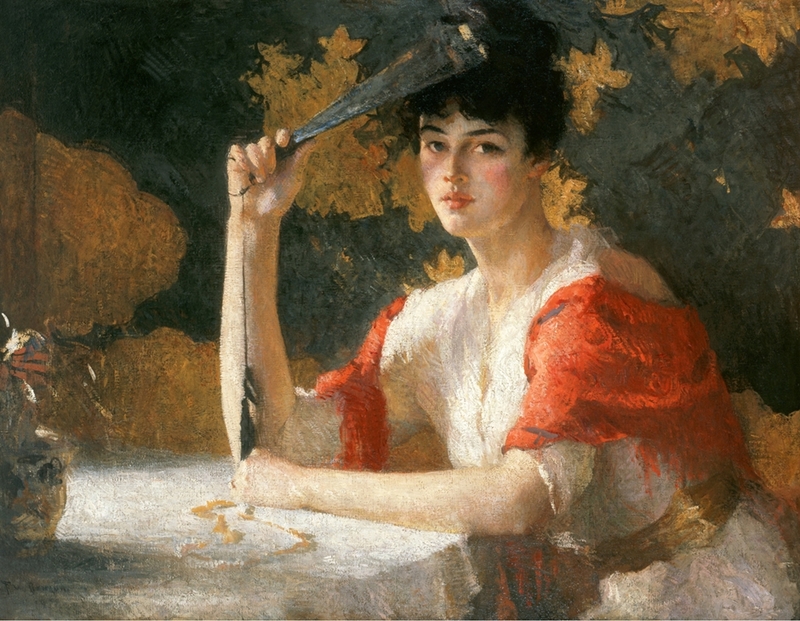 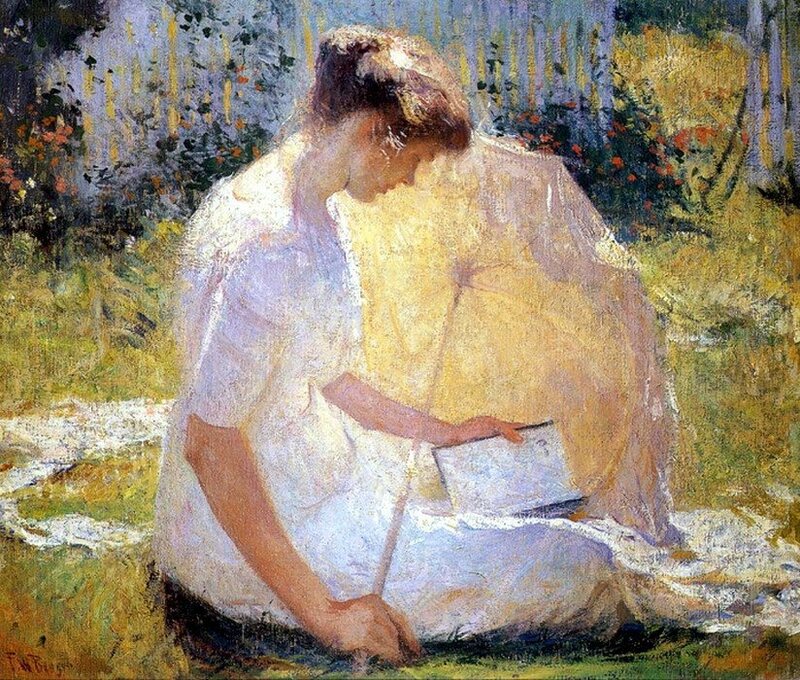 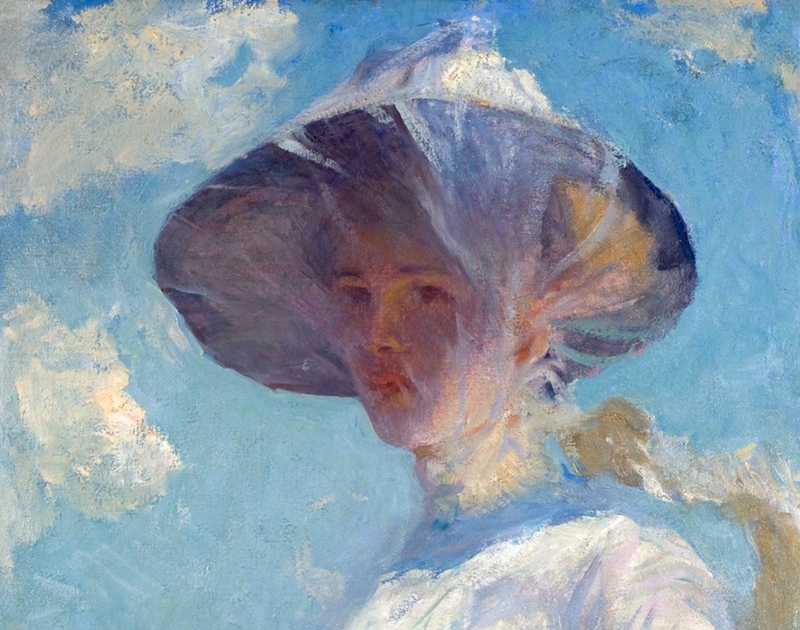 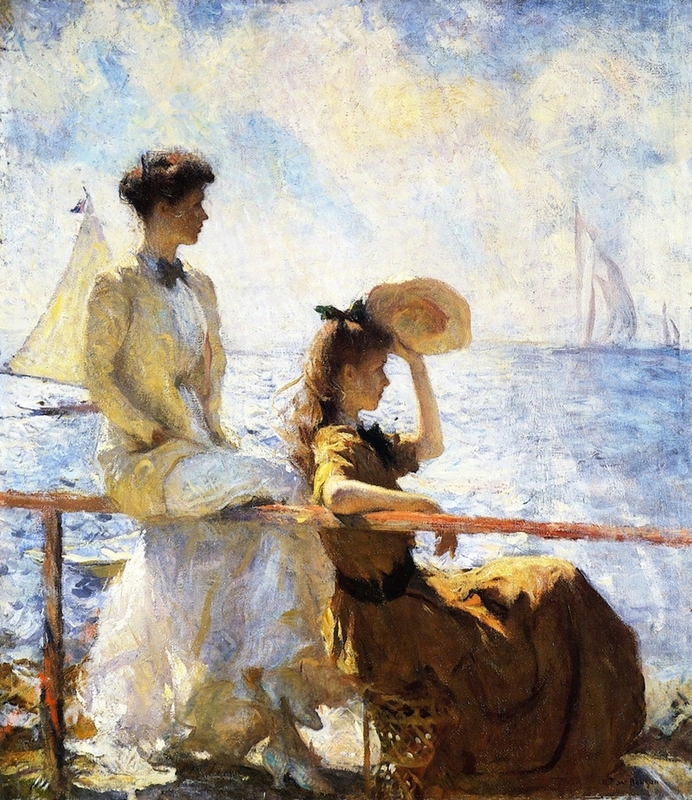 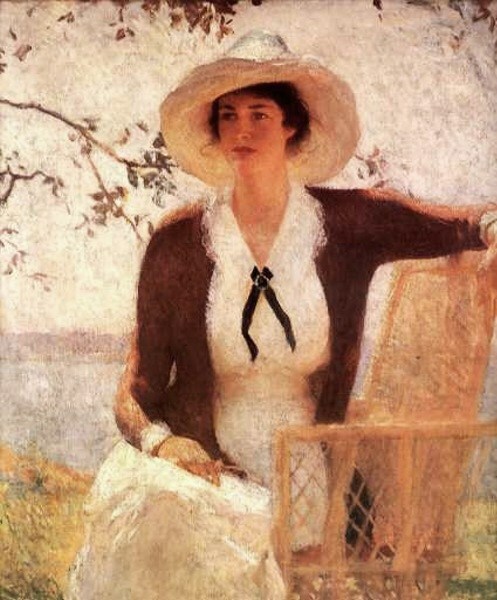 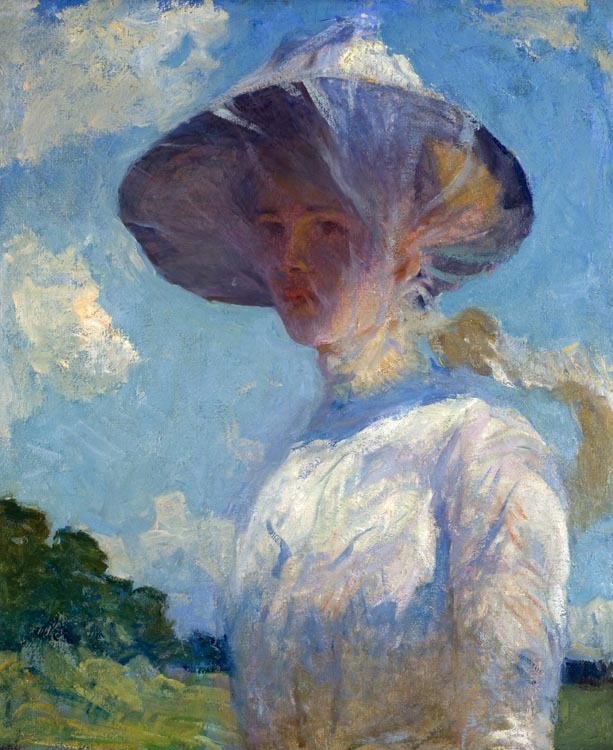 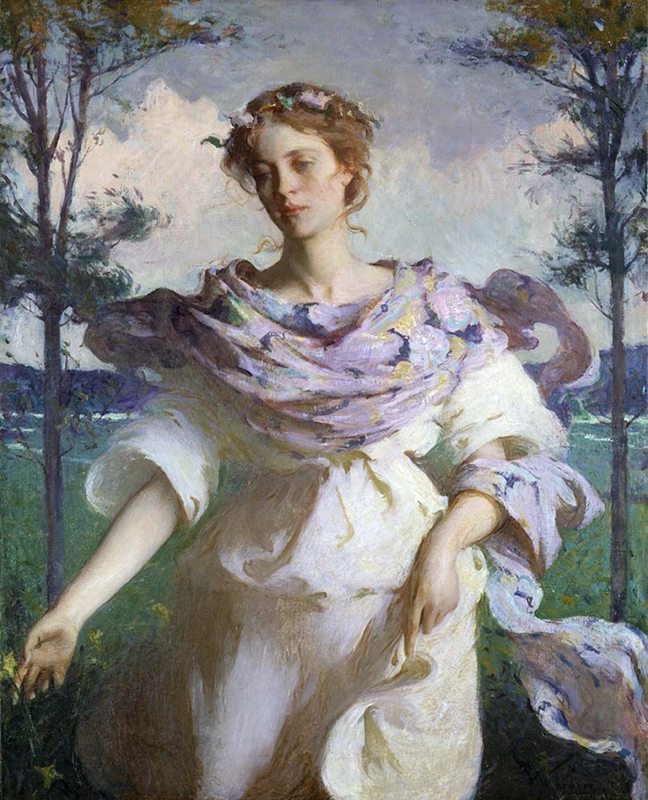 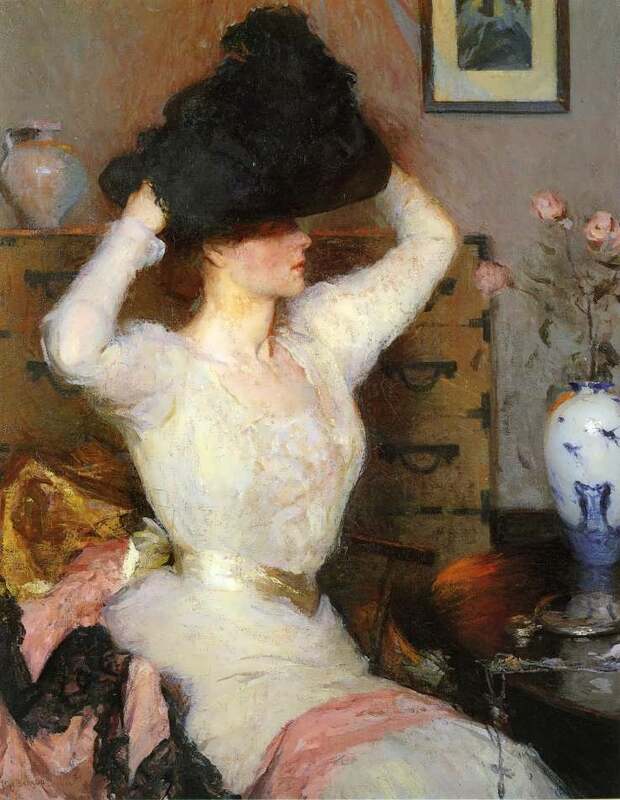 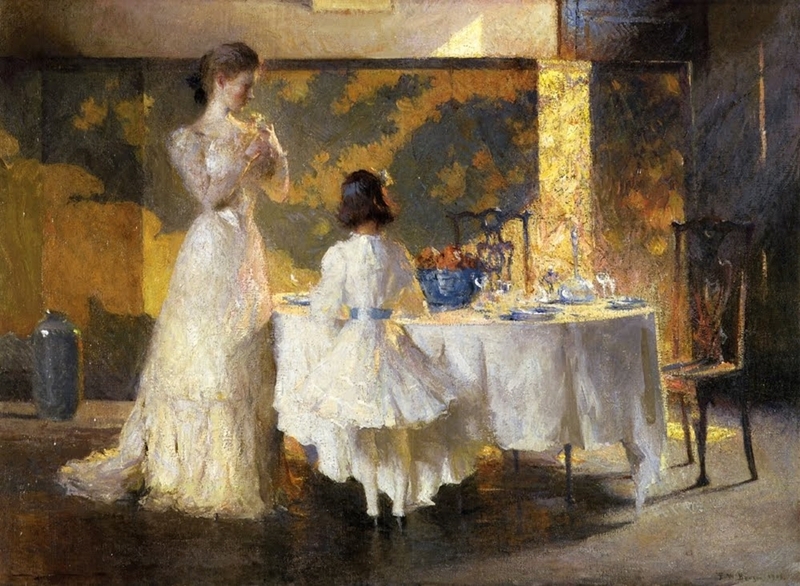 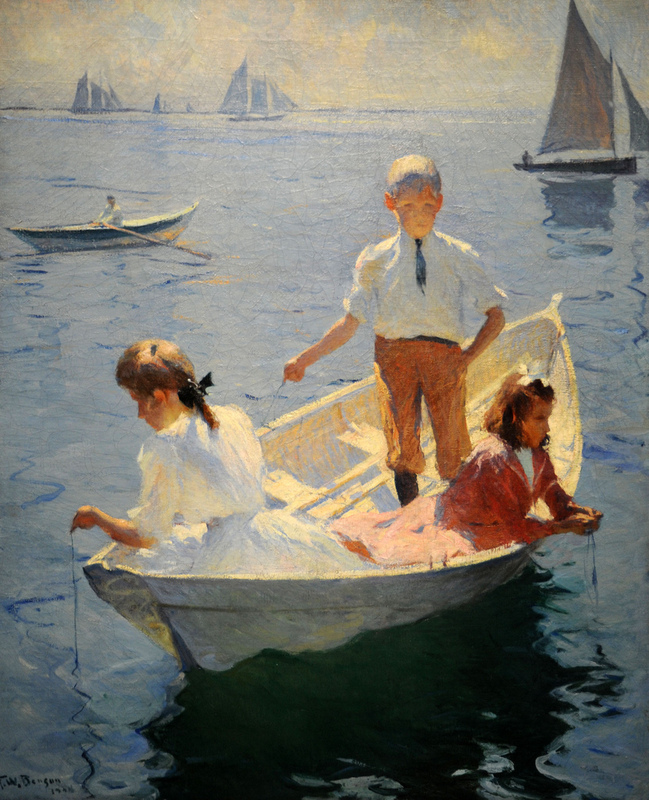 Frank Weston Benson [1862-1951], was an American painter from Salem, Massachusetts known for his Realistic portraits, Impressionist paintings, watercolors and etchings. 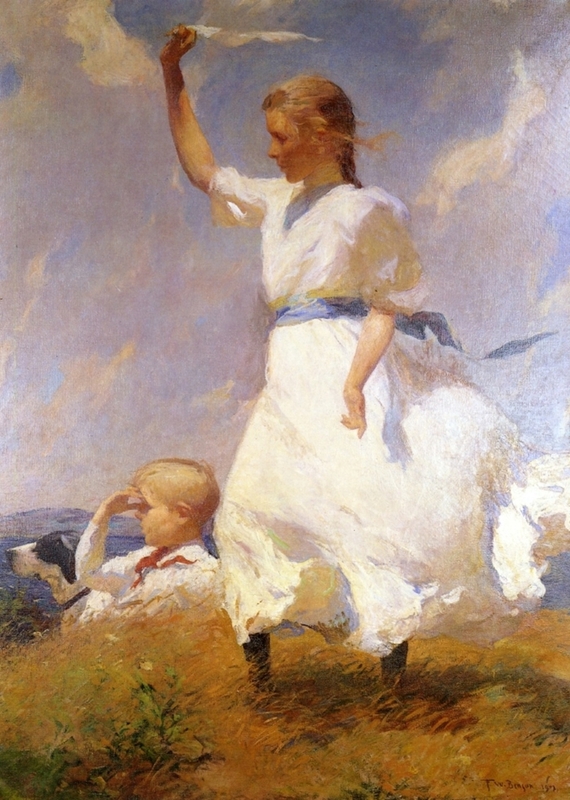 He began his career painting portraits of distinguished families and murals for the Library of Congress. 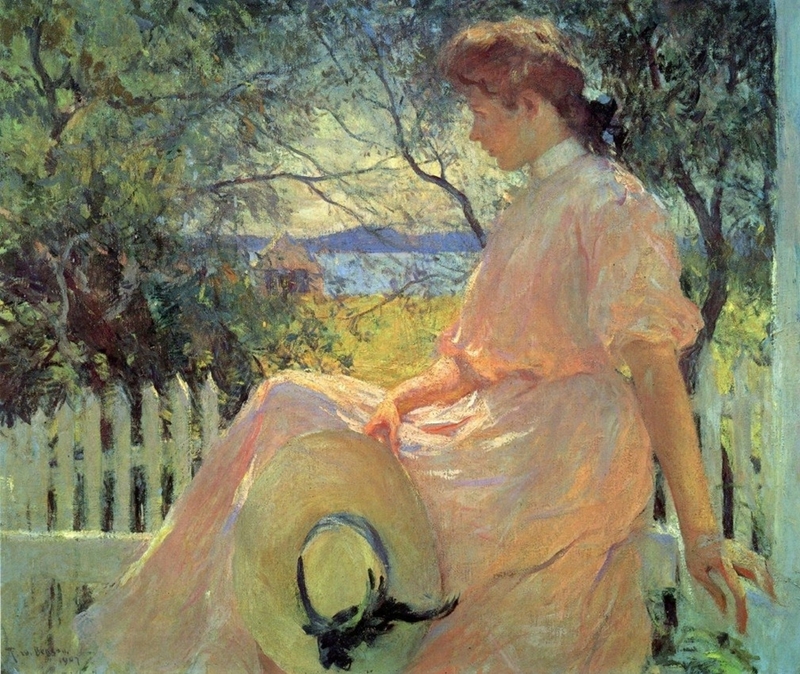 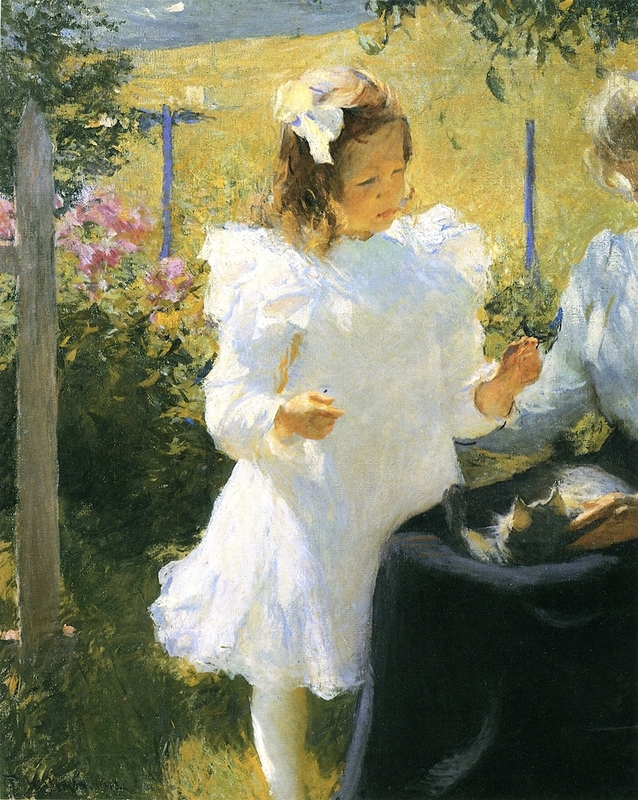 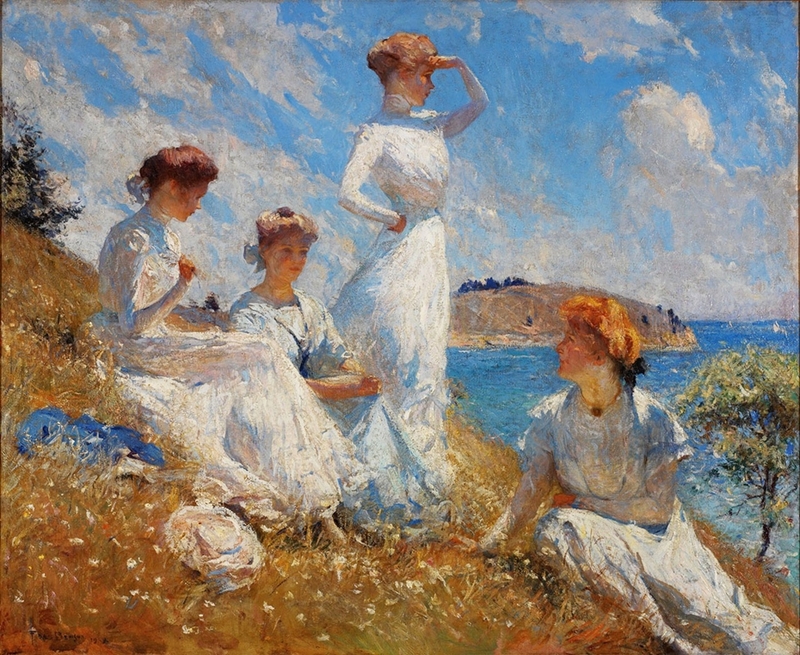 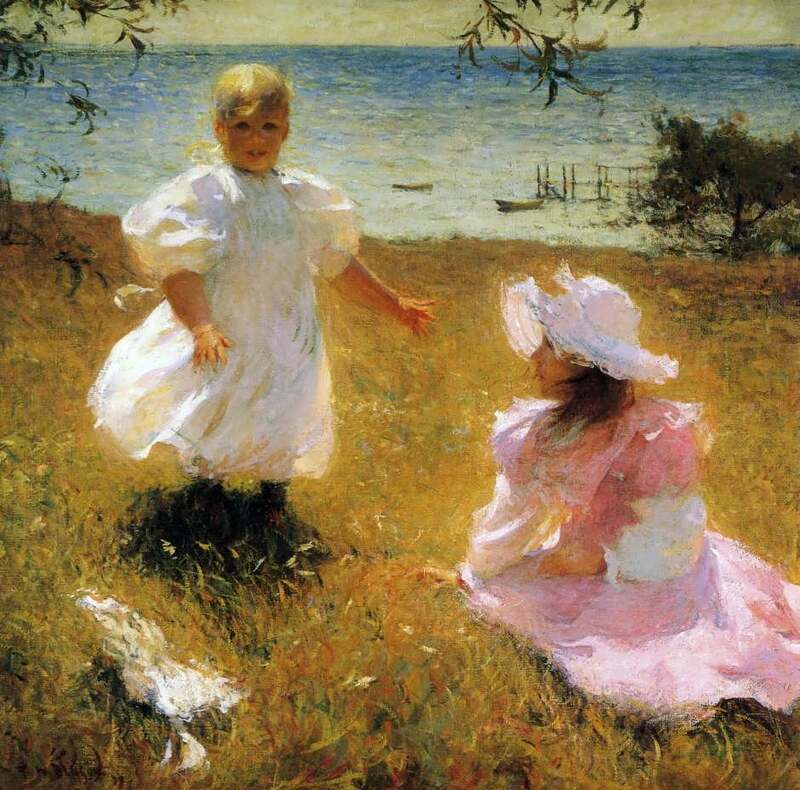 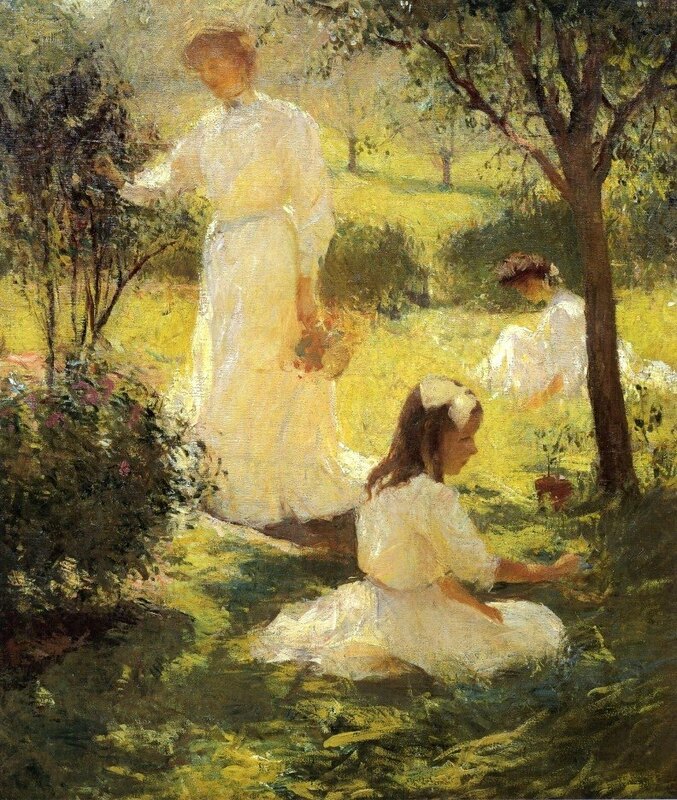 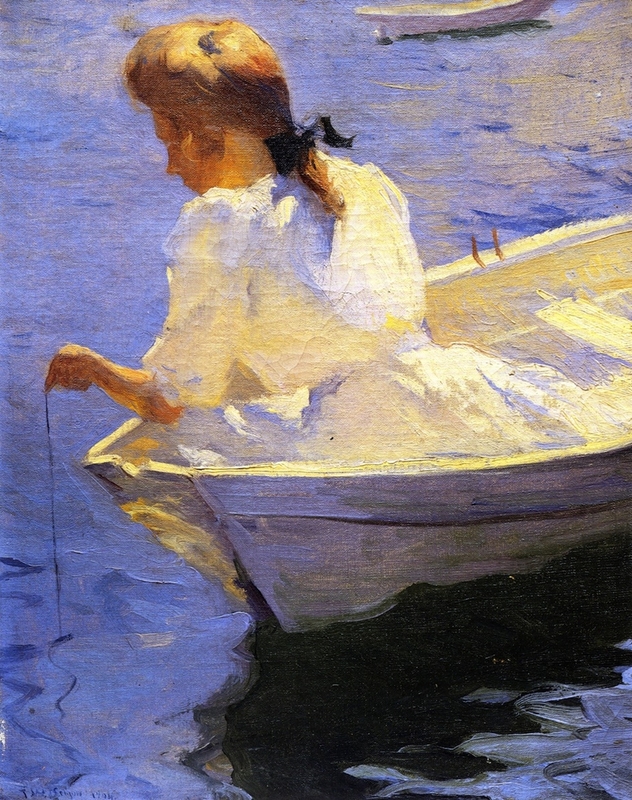 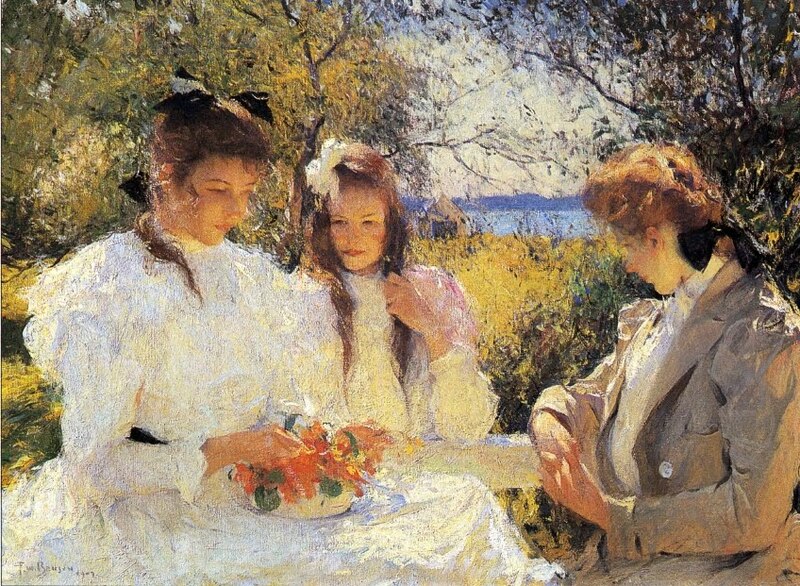 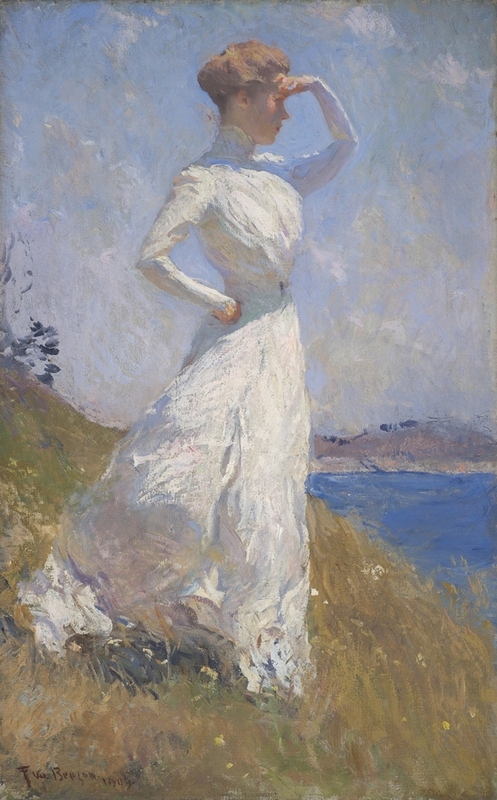 Some of his best known paintings (Eleanor, Museum of Fine Arts, Boston; Summer, Rhode Island School of Design Museum) depict his daughters outdoors at Benson's summer home, Wooster Farm, on the island of North Haven, Maine. 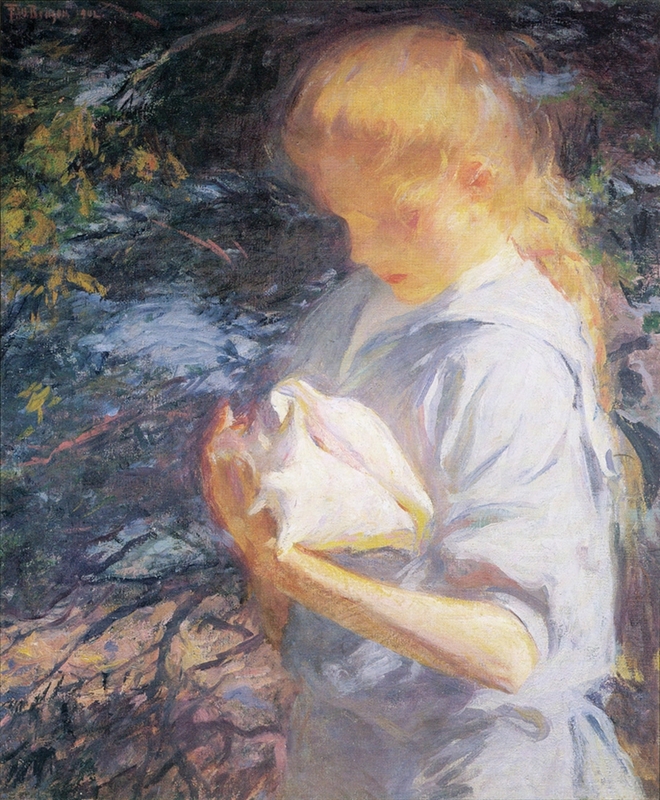 He also produced numerous oil, wash and watercolor paintings and etchings of wildfowl and landscapes.